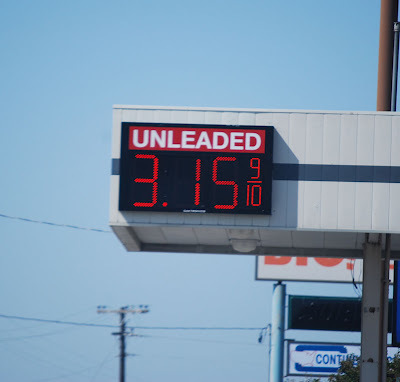 One of my City Daily Photo blogging buddies has been posting updates on gas prices in her area of the country. Her Thursday post had gas at $3.46 in Sarasota, FL. I noticed yesterday at the Brookshire's station gas was $3.15. That's the lowest I've seen in a while. In some parts of Dallas the price is below $3 and it may go lower.